05:00 - 23:00 daily. IMPORTANT NOTE: For Cardholders who pay for individual visits or guest visits, please check this particular offer against your visit fee to ensure it represents value for you. We advise Cardholders to review full Conditions of access below before visiting. 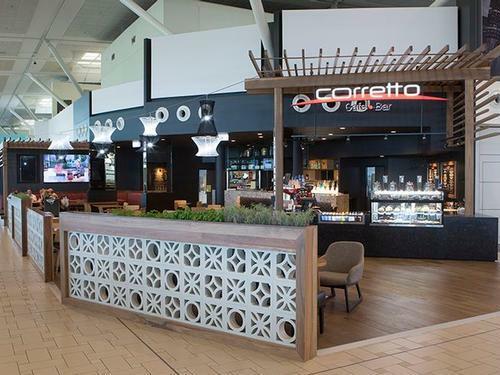 Corretto Café & Bar is a full-service restaurant serving gourmet burgers, grilled halloumi salad or chicken parmigiana. 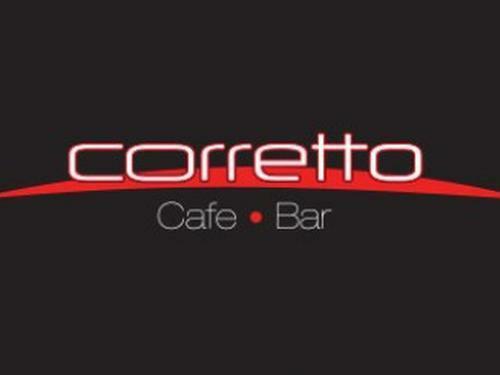 There is also a full bar serving a great selection of beer, wine and spirits. Landside - located at check-in level, north side of the food court on the 4th Floor. Please note that the restaurant may exceed their seating limit at certain times of the day & access to the restaurant is at their sole discretion.